Visiting the RocknRoller Baby clan wouldn't be the same without a big old gathering in our favourite pizza restaurant! We eat at Pizza Express in Haslemere pretty regularly - the food is great, it's affordable, plus there's no washing up ;) - but last night we paid the St Benedict's restaurant in Norwich a visit for the first time. It's double fronted, so huge, light and airy, and is on a street packed full of quirky shops and bars with plenty of parking nearby, making it pretty darn perfect for a pizza and vintage loving girl gang like ours! As is always the way with Pizza Express, when we got there we received a very warm welcome and the children were given the star treatment, with their infamous colouring packs waiting for them on our table. We ordered our drinks and some olives for the table straight away, as well as the kids piccolo menus, and then set about perusing the new Spring specials. 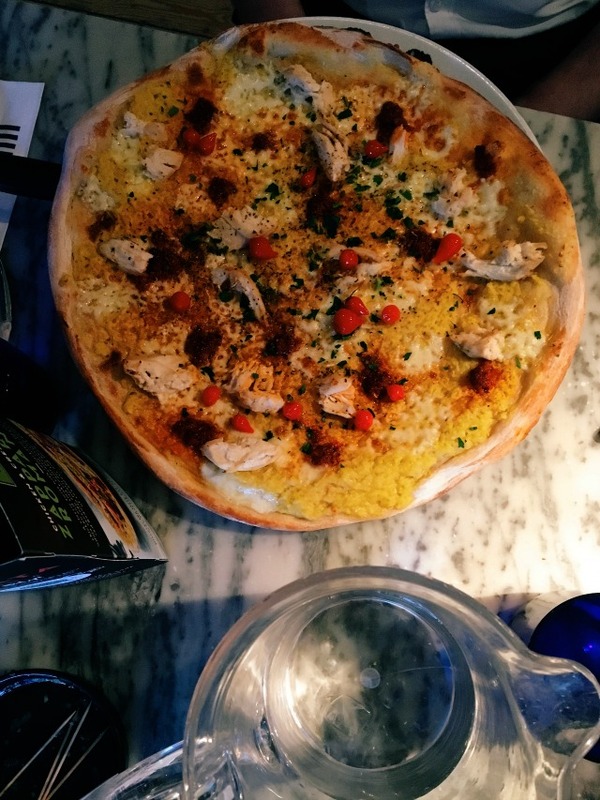 That's one of the things I love most about Pizza Express - the ever changing, seasonal menu. The new additions for this Spring looked so incredible, we couldn't resist sampling them all. There's no denying that a meal at Pizza Express just isn't the same without at least a couple of portions of dough balls on the table as a starter, and more recently we've started ordering an antipasto platter too. But now there's a new dish that's set to become a staple for us (if we can persuade Pizza Express to keep them on the menu permanently that is!). 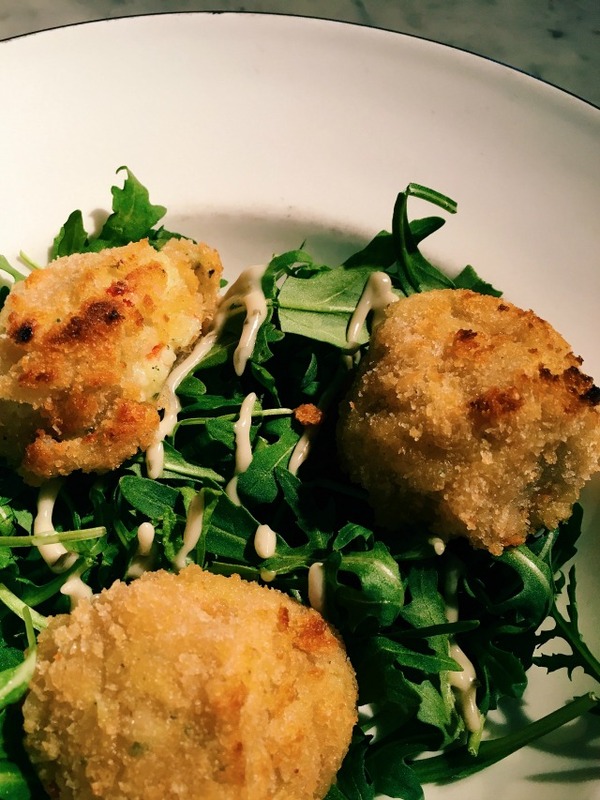 The Cod Crocchettes were amazing - baked in the oven, and packed full of creamy smoked cod and mozzarella with a real kick, courtesy of red jalapenos, they came served with rocket and a drizzle of anchovy mayonnaise and were INCREDIBLE. I'm a creature of habit and usually go for the Soho pizza (or the Pianta if I'm being good and dairy free) but on this occasion I decided to step out of my Pizza Express comfort zone. It might not have been a new item on the menu but I decided to give the Pollo Forza a try for the very first time. It did not disappoint! 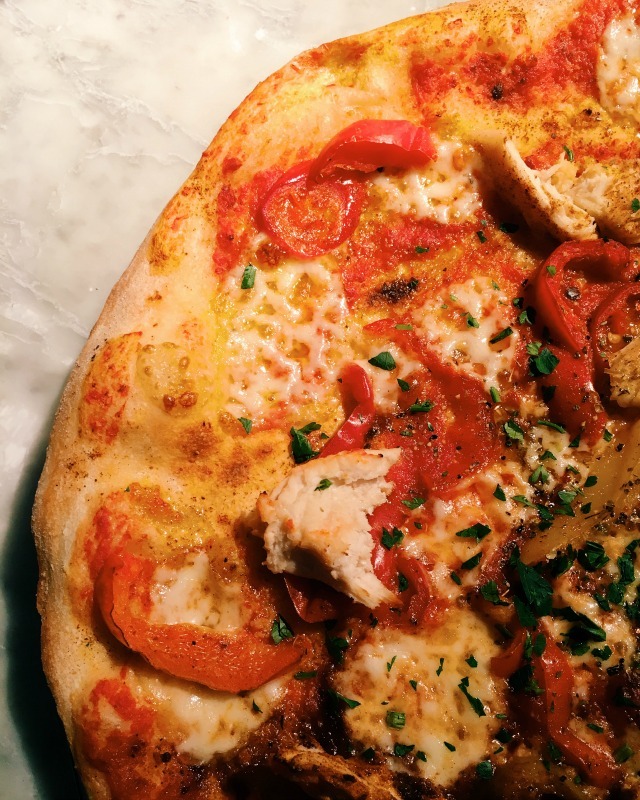 If you like spice then this pizza should definitely be a contender next time you visit.... the toppings include chicken, garlic, roquito peppers, red and yellow peppers, gran milano cheese and a whole lot of chilli! 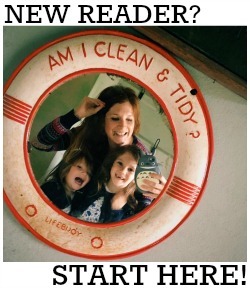 I had mine on a romana base (we all know the romana bases are THE BEST!). Ruth's husband went for the new zapparoli pizza and very kindly let us all have a tiny slither slice. This is the new spring special and rather than having a tomato sauce it has one made of creamed corn which is really bloody good. The toppings include chicken, hot soft 'nduja sausage, mozzarella and red roquito pearls, and it's finished off with gran milano cheese, a drizzle of garlic oil and a sprinkling of parsley. We all loved it! 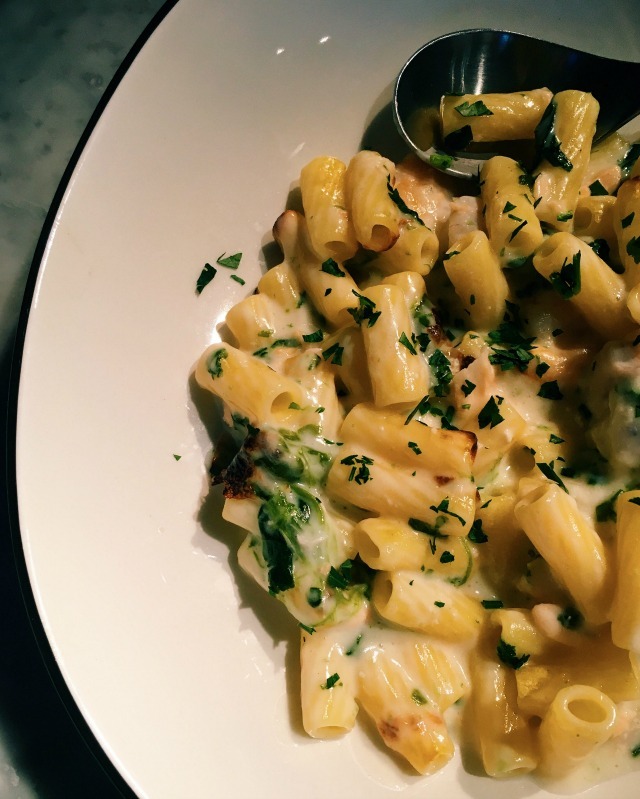 Another springtime special for 2017 is the seafood rigatoni, which Ruth went for. With salmon, pollock and king prawns in a creamy white wine and garlic sauce, this classic pasta dish was a hit with the whole table. 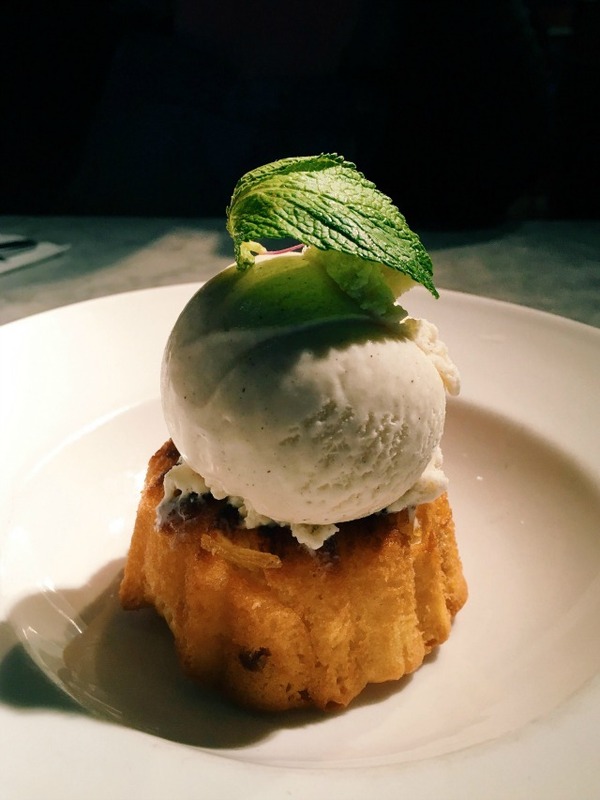 The new dessert is now officially my FAVOURITE EVER Pizza Express pudding - which really is a pretty high accolade coming from me, the pudding queen ;) It's a mini lemon bundt cake, served warm with a scoop of vanilla gelato and garnished with a sprig of mint and a dusting of icing sugar. The perfect, light choice for when your belly is full of pizza but you want something sweet (and not chocolatey)! We were in the restaurant for two hours and only left because our car park was about to close. I always think it's a sign of a great evening out when you're with your kids and are able to eat leisurely and without stress. 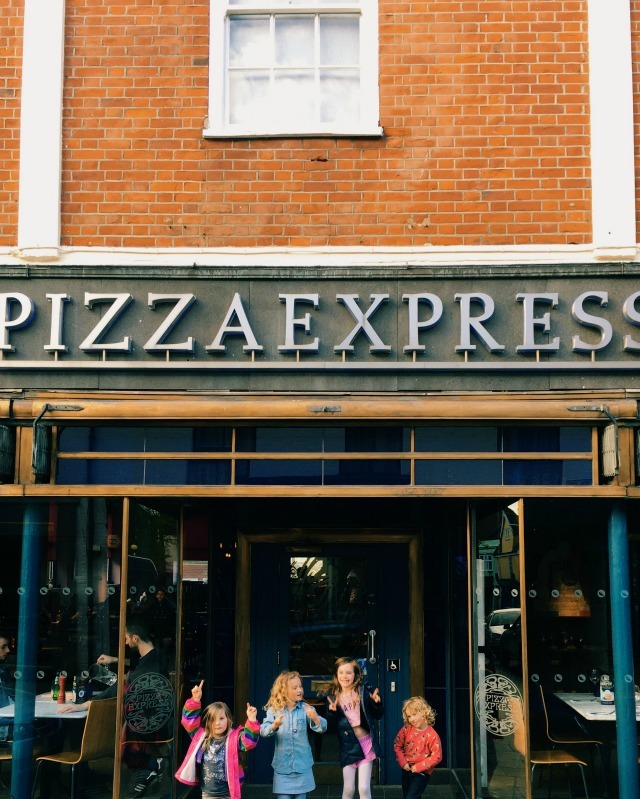 This is always the case with Pizza Express, which is why its one of our favourite places to go as a family. The new Spring menu was a hit with everybody - and I can't wait to go back and eat more! Our food and drinks were complimentary in exchange for this honest review. All words and photographs are my own.